Special counsel Robert Mueller recommended no jail time for former National Security Advisor to US President Donald Trump Michael Flynn on Tuesday night. Flynn pleaded guilty to lying to the FBI in December 2017 about the topics discussed in his conversation with then-Russian Ambassador to the US Sergei Kislyak earlier in the month. Flynn sought to influence the ambassador to delay a vote to condemn Israeli settlements at the United Nations. The following day, an anonymous Israeli official told CNN that Israeli Prime Minister Benjamin Netanyahu had contacted the Trump team to ask them to help kill the resolution. Mueller recommended no jail time because of Flynn's "substantial" assistance in three probes, which included 19 interviews of Flynn, according to the memo. The three probes include one into an unspecified criminal matter and another being the Russia investigation. The third investigation was completely redacted in the documents. ​"The defendant's decision to plead guilty and cooperate likely affected the decisions of related first hand witnesses to be forthcoming with the [special counsel] and cooperate," the special counsel wrote. 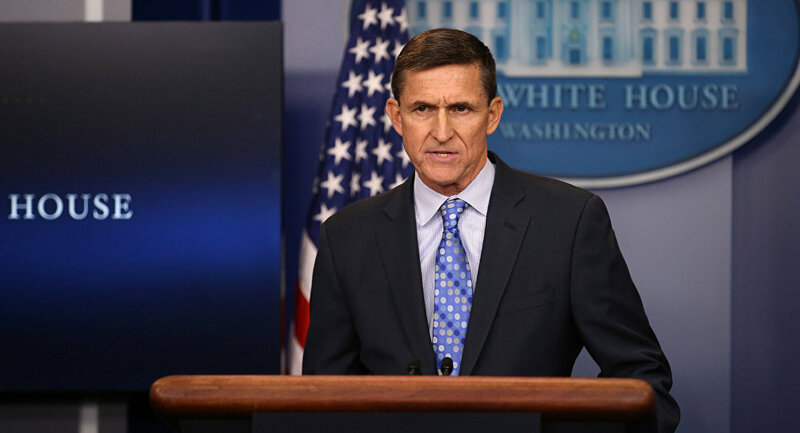 But rather than these facts indicating that Flynn offered up valuable dirt on President Trump, as many in the media have suggested, it really means that Mueller "had nothing particularly important on Flynn himself," Jim Kavanaugh, editor of The Polemicist, told Radio Sputnik's Loud & Clear hosts John Kiriakou and Brian Becker. Flynn is due to be sentenced on December 18, with federal guidelines calling for him to get somewhere between zero and six months behind bars. It's expected that he won't serve any jail time because of Mueller's recommendation. Moreover, Flynn, who was previously the director of the Defense Intelligence Agency and a lieutenant general of the US Army, is an exceptionally high-ranking former official. "After over 33 years if military service for our country," Flynn began a statement on Saturday to the court in compliance with his plea agreement, "it has been extraordinarily painful to endure these many months of false accusations of ‘treason' and other outrageous acts." Flynn said he accepts "full responsibility" for his actions. Michael Flynn Scandal: Why Won't It Go Away?